I've been reaching for vests more and more over the last couple of weeks. Especially this one! Usually, I'm all for my green military version, but I am loving this one because it's trench colored, yet obviously not a trench. Regardless, I love it, and I'm glad that I got it when I did. 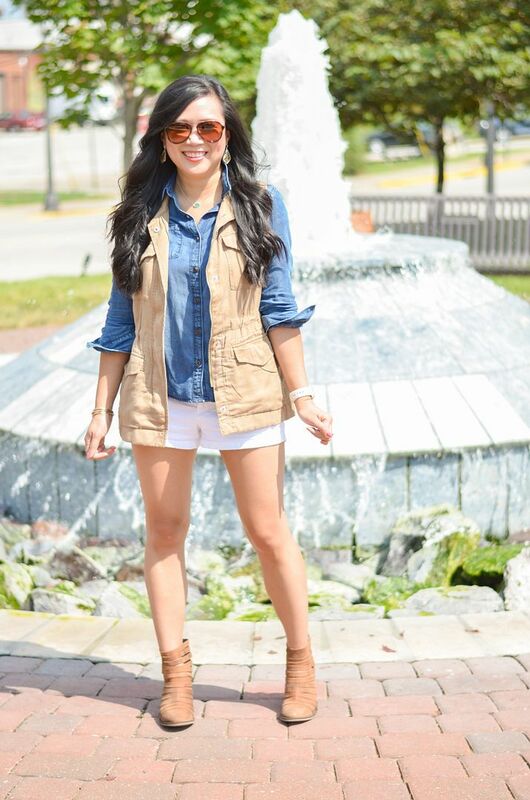 Vests are perfect for adding a little something to an otherwise basic outfit, like a chambray and white shorts! The husband picked out these booties all on his own for my birthday! How amazing is that? 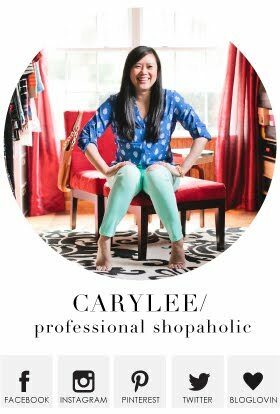 What's even more amazing is that I have been swooning over them, but July and August were pretty expensive months for me in terms of shopping, so I was trying to ignore how much I loved them. The husband was shopping on Nordstrom's website for me, saw these, and said they looked like me! The only other person I told that I loved them was Jenna, who confirmed that she never forwarded that info onto the husband. He's just a shopping genius apparently! I couldn't wait to wear them, so I decided to pair them with this super soft chambray and white shorts. I still felt like the outfit needed a little oomph, and I felt satisfied once I added the vest. 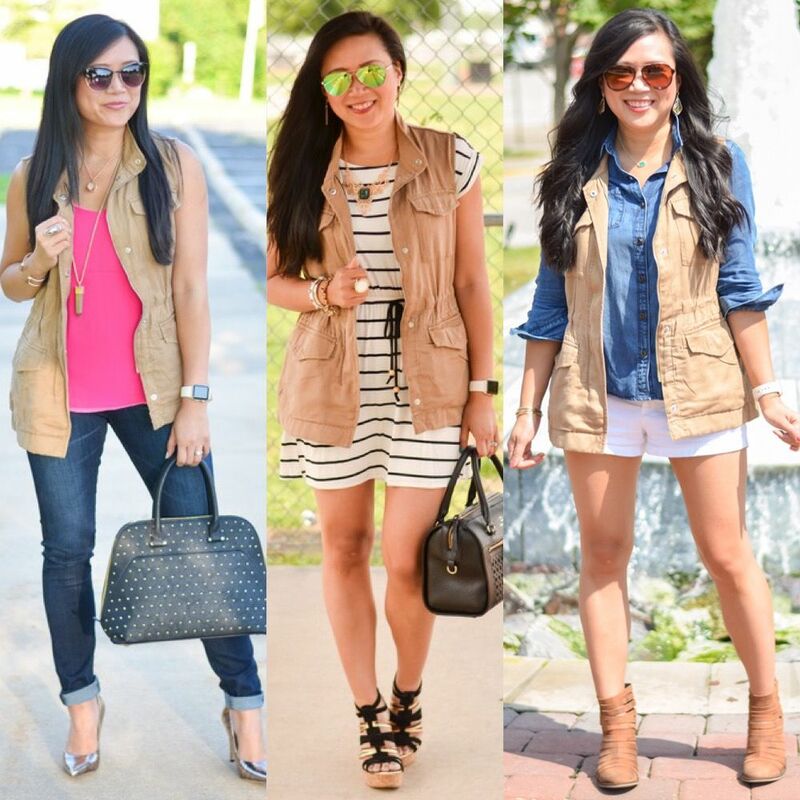 To prove that I've been vest-obsessed lately, here are the three latest looks side by side. I love how they're all different and the vest works equally across all looks. 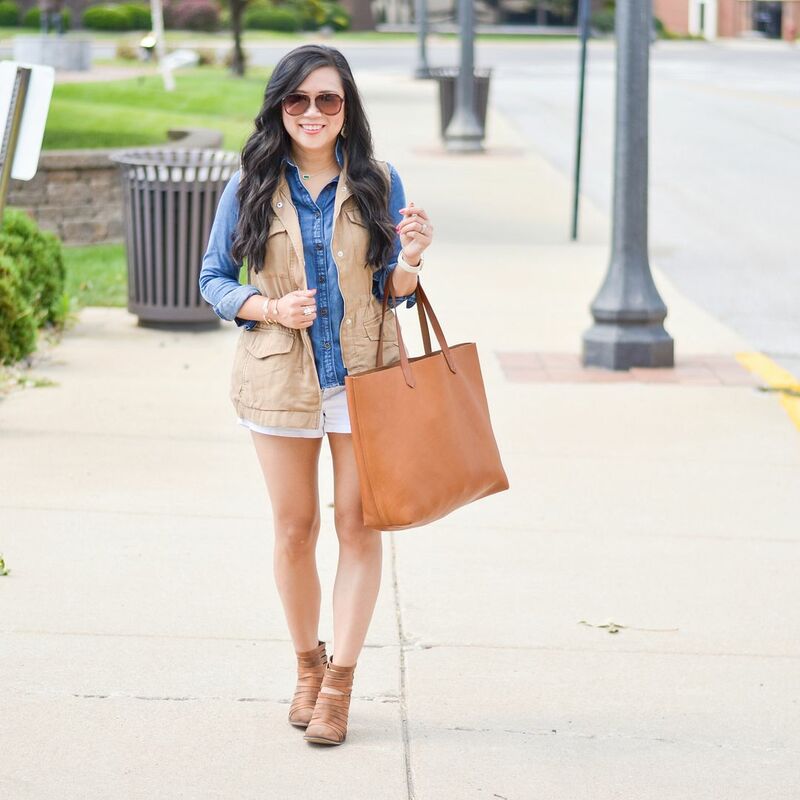 I have three utility vests now, and I'm pretty sure my wardrobe would not be complete without all of them! 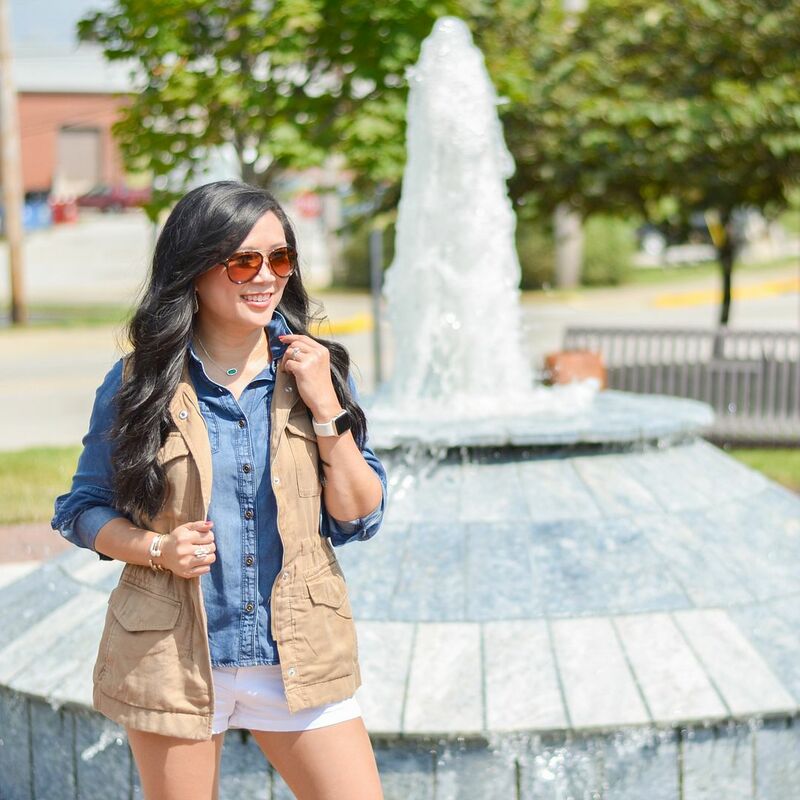 This vest is such a great piece...and you've demonstrated so many adorable ways to wear it! 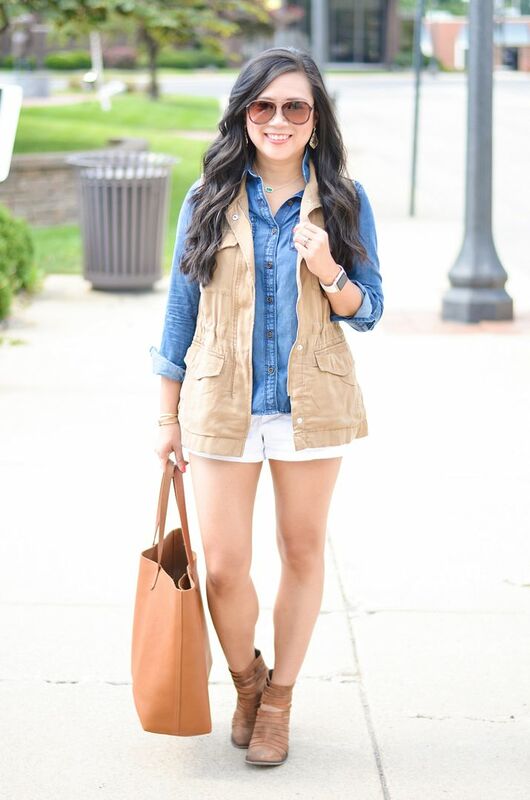 I LOVE that vest on you girl! 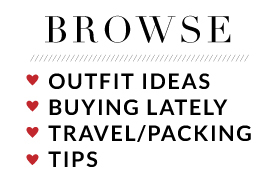 It's so perfect for this transition time! Oh my..i love your vest!